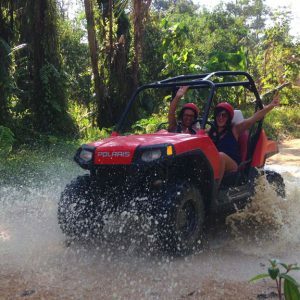 Phi Phi & Krabi 4 Islands Tour takes you to explore some of the most beautiful Islands in Krabi, South Thailand. 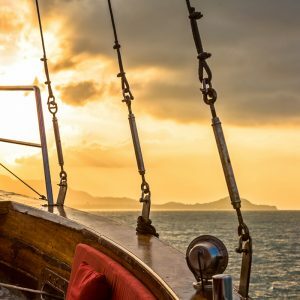 Your early bird tour will take you to see the islands before the rest of the World awakens. 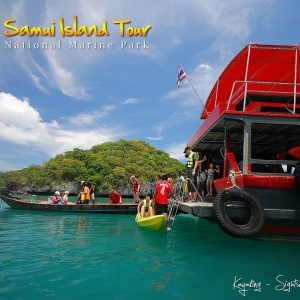 Islands you will visit during your Phi Phi & Krabi 4 Islands Early Bird Speedboat Tour. 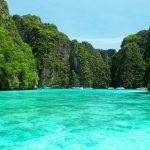 Koh Phi Phi – is a small archipelago Island off Krabi, Southern Thailand. It boasts some of the most beautiful scenery, it’s simply breathtaking. Taking the early bird tour will allow you to see it, at its, best before the crowds. 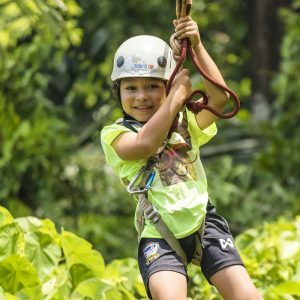 Krabi 4 Islands – Exploring and Island hopping to the tropical hot spots around Krabi. Corals in abundance, and marine life in the crystal clear waters. Adding to their beauty, the white powdery sand beaches. Viking Cave – Home of the swiftlets that make the bird nest soup. 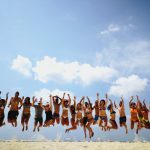 Monkey Beach – A stunning white sandy beach with lots of monkeys to be seen. 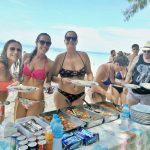 Loh Samah or Nui Beach – Stopping for snorkelling. You can see the beautiful underwater coral and marine life. 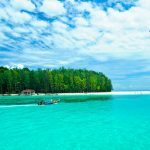 Bamboo Island – Powdery white beach with crystal clear waters, a great place to relax and take photos. Koh Kai – Her you can see the wonderful cliff formations that look like a chicken. 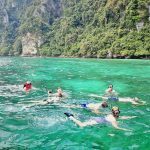 Koh Mor – Koh Tap – The three isles include the chicken island in this group you will see the amazing sight of a white fine sandbar that links the 3 isles together. You can only visit at low tide. 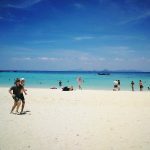 Koh Poda – The scenery and soft sand makes it a popular destination. Return to Ao Nang at approx 16.20 – 16.30 to transfer you back to the resort.